Spending your savings on a mini vacation is one of the perks of Mexico dental tourism. This article discusses the advantages and risks of dental tourism, and shows why Mexico dental tourism enables you to combine the pleasures of a vacation with top quality dental services. It sounds great. A vacation, just hours away, in one of the world’s most beautiful resorts, and the opportunity to have advanced dental treatment at a fraction of the cost of a similar service in the US or Canada. But before you undertake dental care in Mexico, there’s a number of things you need to consider. Waiting Time – it can take weeks to get an appointment to see a US or Canadian dentist, especially in rural areas. Particularly for patients in pain or discomfort, this is simply not acceptable. Fortunately, in Mexico, prompt consultation and dental treatment is readily available for you – another reason why Mexico dental tourism is enjoying growing favour. Convenience – the care of the teeth and gums involves, to a degree greater than any other region of the body, the intimate cooperation of specialists. Typically, in the US and Canada, each of these will operate in his own practice, making the patient travel all over the place in the course of treatment. In Mexico it is more common to find dental groups – specialists and general dentists – sharing a single practice. This provides a one-stop shop for an impressive range of restorative treatments.This has the added advantage that patients’ care is in the hands of one organisation. In the event of problems, there can be no legal buck-passing between the specialties, as can happen in US and Canadian cases. Guarantees – unlike their counterparts in the US or Canada, Mexican clinicians are willing to guarantee the durability of their work. Dayo’s policy is to require the principal dentist in a dental group to guarantee the outcome of treatment for 5 years. We call it your Peace of Mind Guarantee. Happy Mexico dental tourism patient. Prices are visible online. US and Canadian clinicians do not advertise their fee structure. Their Mexico dental counterparts have no such reticence, and patients can be perfectly clear about the fees they face before they embark on their tour. 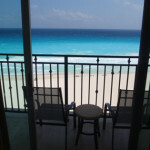 Mexican Vacation – lastly, of course, we come to the reason why dental tourism got its name. For patients who choose to travel to Mexico for their dental care, there is the treat of spending a few days enjoying the climate and the amenities of some of the world’s most popular destinations. Los Algodones is one of top dental destinations for Americans and Canadians. Many winter visitors visit Algodones for their dental work. 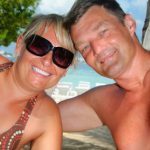 So what are the hazards, and how can you assure yourself that your Mexico dental tourism will bring you the rewards you deserve? 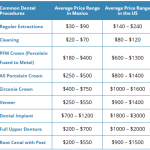 Quality Control – In Mexico, the range of costs for such services as dental implants, cosmetic dentistry or root canal treatment varies greatly. It is likely that the quality of the dental work will vary accordingly. It can be very difficult for a lay person, unaided, to assess the quality of a clinician’s work.Over nearly seven years helping thousands of people find dental treatment in Mexico, Dayo has built a network of trusted Mexican dentists and specialists who are leaders in their field. Dayo researches the training, education and professional history of its clinicians, and maintains a ‘no mistakes’ policy. Complaints are investigated by Dayo, and Mexico dentists found to be at fault are removed from our network. This policy acts as a powerful control on the quality of dental care our clients receive. 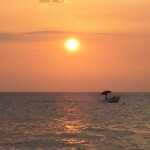 Distance, travel time – Well, duh… Of course, Mexico dental tourism involves travel! Importantly, however, it means that you’re a long way from home if your first consultation reveals that you don’t have enough bone for the implants you were planning on having.Luckily, there are steps Dayo can take to assess patients before they commit themselves to treatment – just another reason why, with Dayo’s help, dental tourism in Mexico can be for you. Multi-stage treatments, follow-ups – Some of the more advanced treatments, such as replacing teeth with implants, involve two or more surgical stages, separated, in some cases, by many weeks or even months. If you are planning to obtain advanced dental treatment in Mexico, you must take these stages into account. Likewise, even the simpler procedures usually require follow-up care, and this, again, must be borne in mind when embarking on your dental trip to Mexico. Have you traveled outside the country for dental care? Share your thoughts about the idea of Mexico dental tourism.